I drove my wife from Panama City to work a shift at the CVS in Port St. Joe, Florida. That gave me the day to operate portable. I decided to stay close to town and operate from the George Core Park. 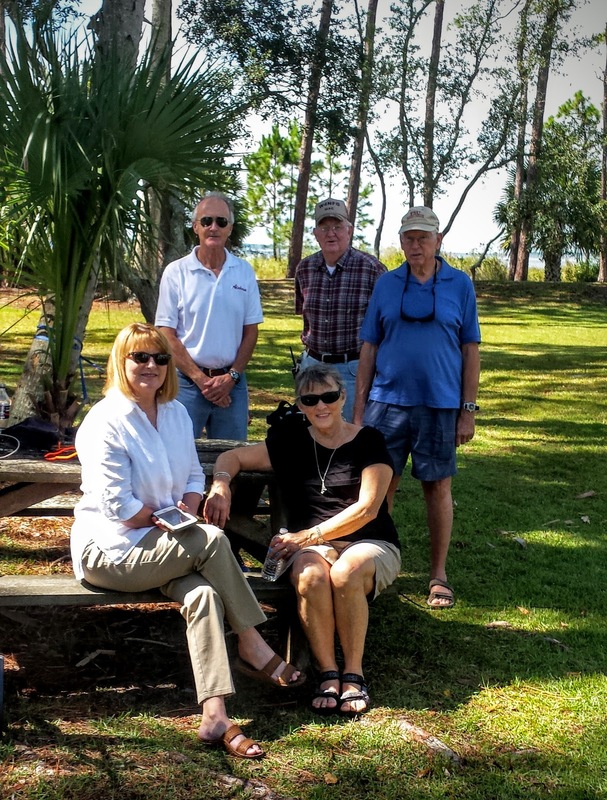 The park is now the home of the Cape San Blas Lighthouse. The park has shore on the bay, Originally, I wanted to to put a vertical right on the water. However, the grassy area of the park was more hospitable. The stand of pine trees was inviting for a wire antenna. 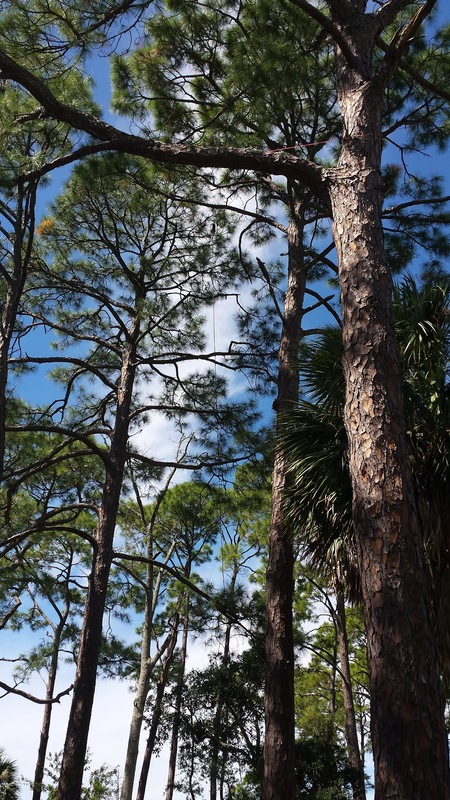 I chose a limb about 35 feet up. This was about as far as I can do with a weight thrown by hand. I was successful and hoisted the Chameleon Tactical Dipole Lite. There was plenty of space to stretch out the two 60 foot wires. 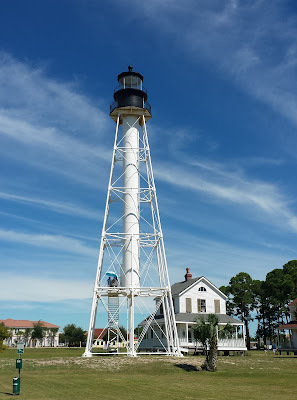 The Cape San Blas Lighthouse relocated to Port St Joe. 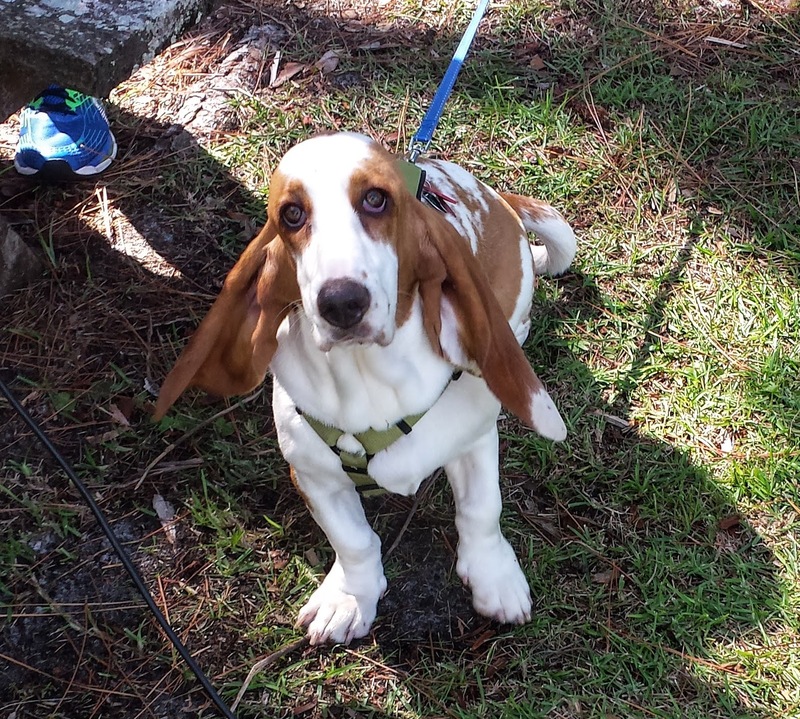 I usually advertise my outings to our Panama City club and try to make contacts with the members. 40 meters is the band of choice. This time two ham couples were going to make the drive over from Panama City. Bob WB4BLX was the driver. He used his HF mobile in his new truck. 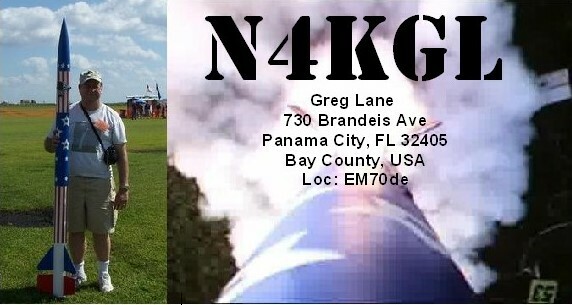 I worked him on 40 SSB from Panama City and along the way. He switched to 40 CW and we made another one. Then when he got close I worked him on 20 SSB. Lots of fun. I also worked Mike KM4ELJ on 40 SSB from Panama City. He switched to 40 CW and we had a QRP to QRP contact. On top of this, I worked Henry N4HHM and Steve N4VSP both in Bay County. I think it is good for us to exercise our HF radios for local contacts in the case of an emergency. Likewise, contacts like these are helpful for RaDAR outing where you make five contacts and move. Left to Right, Linda and Sally in the front and Bob, Mac and Vic in the back. I should mention that the this was one of those beautiful Fall days here in NorthWest Florida. A welcome break from the summer heat. Suzy was my companion for this outing. We took some walks to stretch her legs. She was pretty good but can compete with the radio at times wanting to get in my lap. I enjoyed the visit from Bob WB4BLX and his wife Linda and Vic K4GXV and his wife Sally. Also two Port St Joe hams came by Mac W4NFG and Norm K4NEB. I chose the KX3 for the rig this time. So all contacts were 10 watts or less. I had four Texas QSO Party contacts on 20 SSB. I worked the Pope St. Francis Special Event station in Philadelphia and the Battleship Wisconsin station in Norfolk. There seemed to be a number of DX station on 17 meters from Europe. I did not score any of those. My DX of the day was T48D in Cuba on 17 meters SSB. I was astounded to hear South Africa coming in on 15 meters and North Japan on 17 meters late in the afternoon. It seemed the bands were bad and good at the same time. There was too much competition for my 10 watt signal for the DX. I did make a number of CW contacts including one on 30 meters and one on 15 meters. The total for the day was 22 contacts. I think the Tactical Dipole Lite did a good job giving me multiband coverage. I also put up a vertical whip and the Chameleon Hybrid Micro but deferred mostly to the dipole. 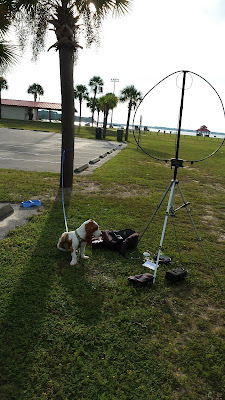 I now know a good portable operating spot near the lighthouse. Perhaps this will fit in with a lighthouse event in the future. RaDAR Operators will have to adjust as we approach the bottom of this sunspot cycle 24. frequencies above 20 meters will less frequently support sky wave propagation. The Alexloop is excellent on 17, 15 12 and 10 meters. However yesterday I had success on 40 and 30 meters. We are going to rely more on those bands now. 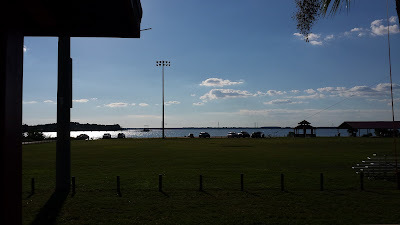 Sunday, I setup at Kinsaul Park in Lynn Haven Florida at EM70EG00SF. I wanted to be as simple and light as possible. 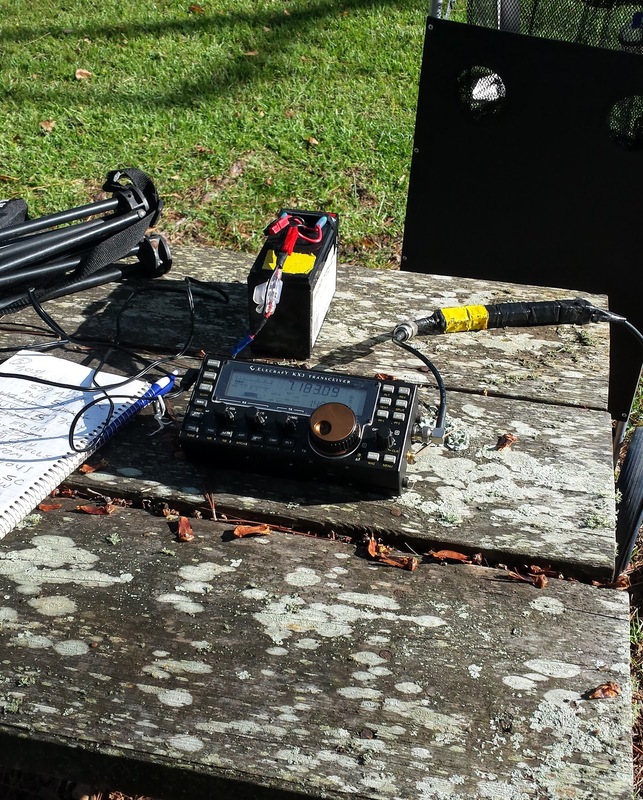 I have started dreaming or planning for my RaDAR Challenge outing coming up on November 7th, I put up the trusty Alexloop on a tripod and set the Elecraft KX3 and the ground. This was about 3:30 pm. My first contact was a special event station in Mexico XE719SEP. The station was on 17 meters. However, it was the only signal on the band. Then I went to 40 CW. I was pleased to Worked Rome, Georgia and Defuniak Springs, Florida. I had a good chat with both stations. I find 40 meter stations 300 miles or less are easy to work on the Alexloop. I made a call to W9ZN in Chicago with no luck. Then on to 30 meters I worked Ohio and Maryland. This made five contacts by about 5:30. Well time to go to supper. 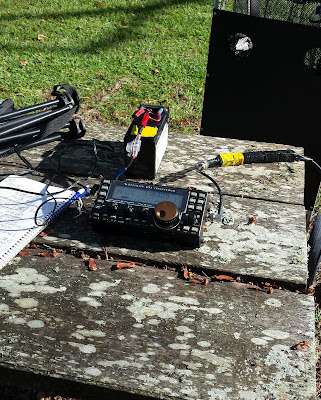 I was lucky there were hams on 40 meters that were relatively local. The dipoles and end-feds do well of course but they take more time to deploy than a magnetic loop. So consider what you will do for RaDAR deployments for the lower bands. Radar is Rapid Deployment Amateur Radio. The next RaDAR Challenge is November 7th 2015. I had a good time out portable with Suzy. We went to a park in nearby Lynn Haven, Florida. It is on the bay. The facilities near the shore were crowded. So I setup further back under a roofed area. I settled on using a fan dipole with 20 meter part horizontal and the 40 meter as an inverted vee. I was able to strap three jackite poles to posts that are already there. My radio was the Elecraft KX3 at five watts. K4GXV and WB4BLX were local. I also worked Mike KM4ELJ running 100 watts who was local. The rest were non QRP including New Jersey (2), South Carolina (3), Kansas, Washington State, and Texas. So apparently the QRPers did have a hard time finding each other. But who can complain about an afternoon of portable operating in the park.